I have been a fan of the Thee Mifi since it was launched and have written reviews of the two previous models the E5830 and the E585. 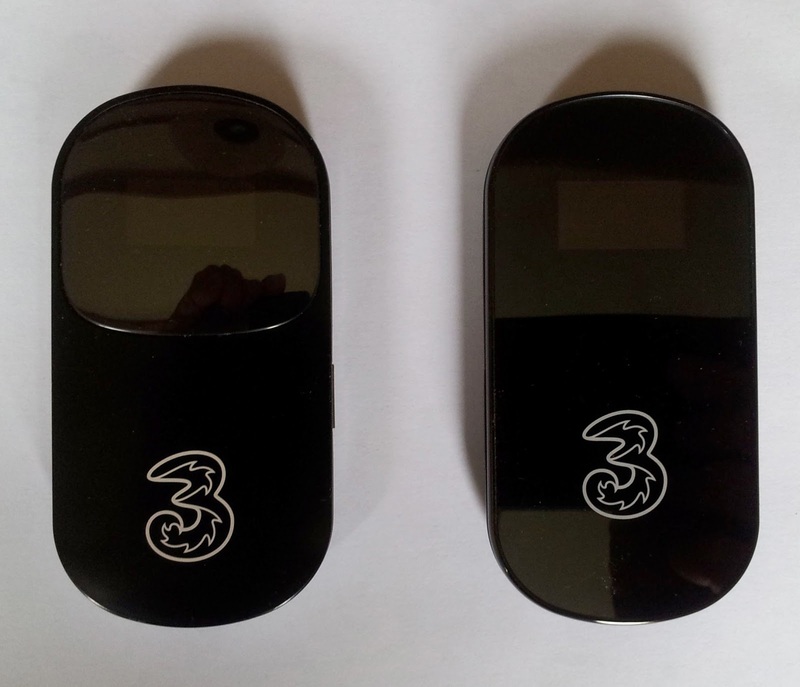 The new and third generation is called the E586 and the name gives us a clue that there the new MiFi is very similar to the second generation E585. In fact if you put the two side by side it would make a pretty good "spot the difference" competition! But there are a few differences between the two. The biggest difference is the fact the new MiFi supports HSDPA+ which is a faster version of the HSDPA high speed mobile broadband network that Three has just started to roll out across its network. There is also a button that shows the wireless SSID name and password on the screen which I do not really see as a benefit as anyone stealing the MiFi can now use it! In use I found it a bit more reliable and it seemed to hold and re-connect to the network better. Battery life seemed similar taking into account the fact it obviously comes with a new battery. I get 3-4 hours out of it. The data counter on the screen is now cumulative rather than per session so you get a helpful view of how much data you have used since the last top-up or part of your monthly allowance. Otherwise the device is the same brilliant and useful device it has been since the first generation model. It lets you connect up to 5 wifi devices and provides them mobile broadband access. Brilliant for commuting and business travel. Speaking of business travel, I unlocked my Mifi for €10 using DC Unlocker which was easy and worked fine. This means I can use local 3G Sim cards when travelling and I have a Spanish Vodafone card ready for my trip to Barcelona later this month. This saves a fortune on roaming data charges that are still pretty high. Three also supply the new MiFi with a handy cradle for charging the device on as well as a useful short USB cable to connect to a PC on the move for charging. I literally carry this device everywhere. 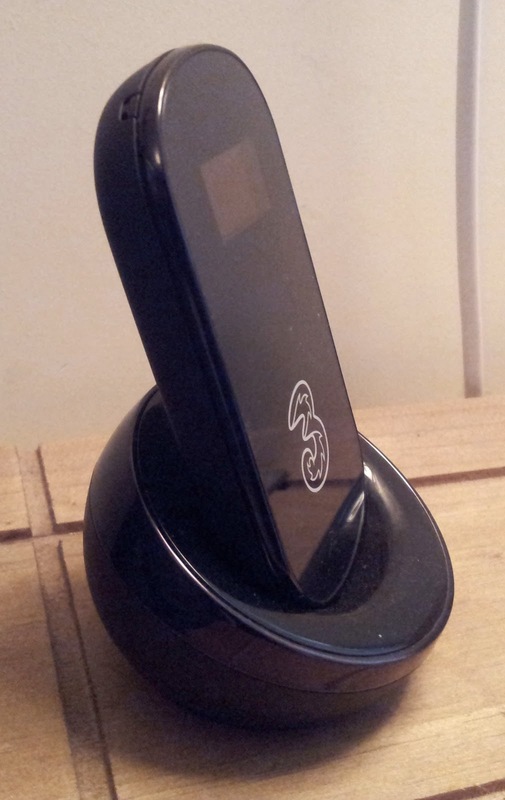 It lets you use any device without needing to get expensive 3G versions and you only need one for all your gadgets. It works if your home broadband fails. You don't need to buy expensive hotel or hotspot wifi. 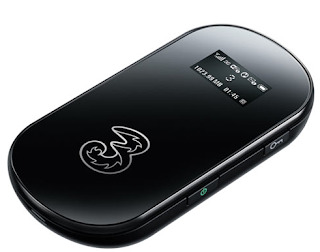 My mobile phone doesn't use all its data allowance each month as it connects to the MiFi and it will work through the MiFi when the signal is low for its network. If you already have a 585 there is not a huge reason to upgrade unless you are offered one free as a contract upgrade. There is no real way of telling where the HSDPA+ upgrades to the Three network have been done. Priced at free on most contracts (from around £11 to £19 a month) or £85 pay as you go with 3Gb over 3 months (or £135 with 12Gb over 12 months) it is reasonably priced. The changes in the evolution of this product although small are welcome and it is great to see Three making a success of this really useful device which I highly recommend.